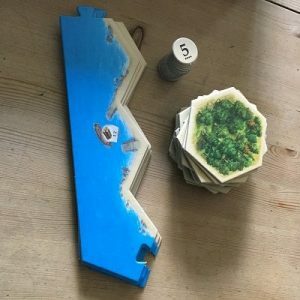 Catan is an interesting one for me and my husband, as we already have its predecessor Settlers of Catan in our games collection, but it wasn’t one of our favourites and for one reason and another we hadn’t introduced it to the children yet. 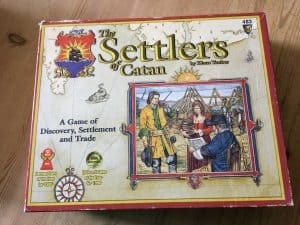 This is the original game in the Catan series which has now spawned a huge number of expansions to the board game, plus a two player card game (which my son is addicted to) a dice game, PC and app based games and several themed spinoffs (Game ot Thrones Catan, Star Trek Catan, Germany Catan….) 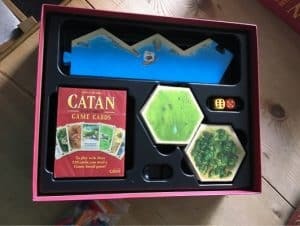 You can see the full range of games over at www.catan.com. 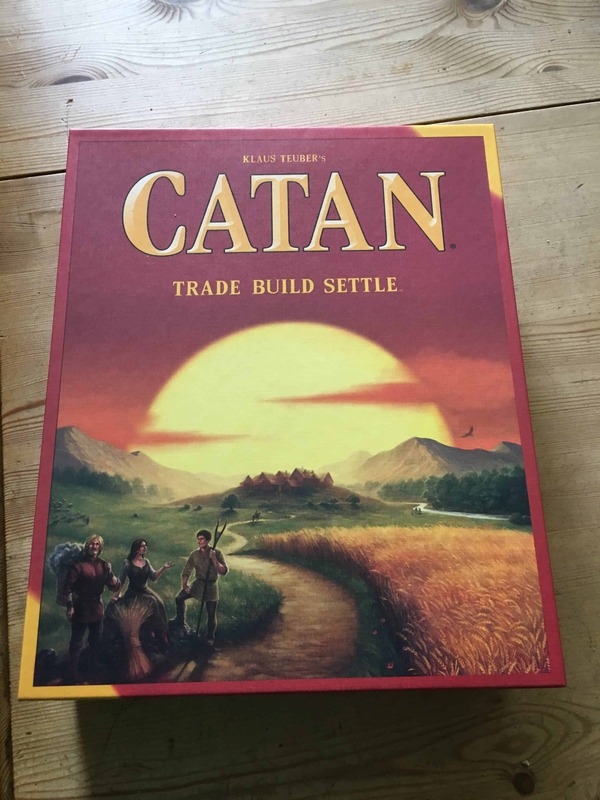 Despite it not being in my personal favourites for a game (you will see my main reason below) I was still quite interested to see what had changed in the new Catan edition, apart from the name. So here it is, and immediately a change, a slightly bigger box, but with a much simpler design – it has a more quality feel about it. 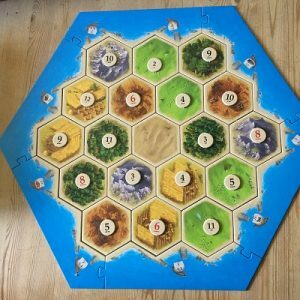 Inside the box, the build quality looks much better too – the board in Catan is built using a series of hexes and number counters. All of the pieces in the new set are made of much thicker card and the whole thing seems more durable and feels good to handle. Also, nerd that I am, I love the way that the box is designed in such a way that the hex counters and the board edges fit in nicely after you have popped them out of their cases. So this is how the game goes, first of all you take the pieces and construct the board. 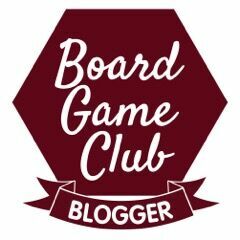 The rulebook suggests a set up for beginners, but one of the good things about this game is you can construct it randomly , any way you like, which will make the game different each time. 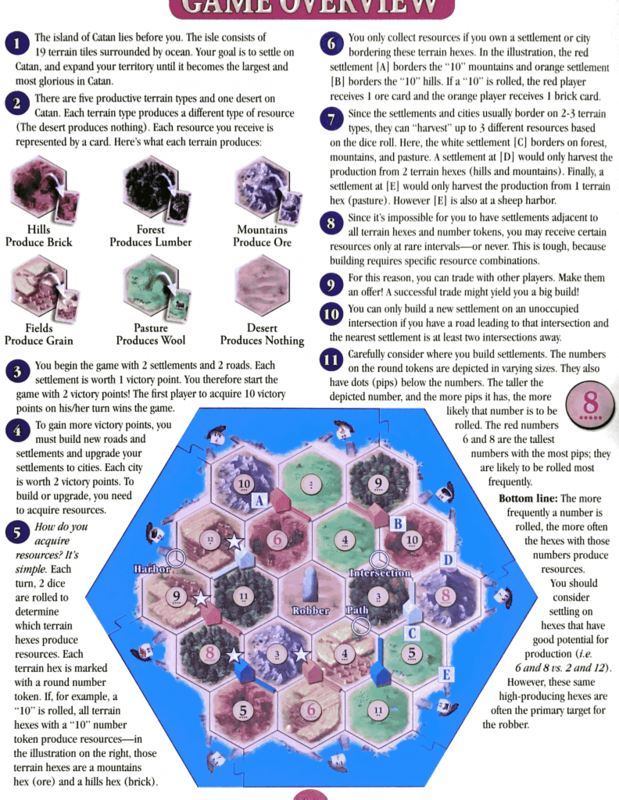 the hexes on the board represent different types of resources. The players, who represent settlers, start with two towns, and then they gather resources and trade with each other in order to build more roads, towns and cities. The rules are pretty straightforward – so much so that they can be explained on one sheet. It’s quite simple to understand and to play. So why didn’t we like it much? My main gripe with the game is that it’s pretty linear. The person who gets the most luck in the first few rounds will be able to build faster, and will then get more resources and will then be able to build faster still. My impressions of playing this game from before are that within the first 3-4 turns it became clear who had the advantage and who was likely to win. 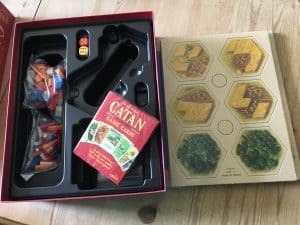 In many cases it was me, but that didn’t help me to like the game any more, as people don’t want to play games with you when you always win…..
That being said there is a lot to like about Catan. I like the fact that there are lots of expansions and different ways to set it up which could alter the gameplay somewhat. We already have the traders and barbarians expansion and I quite fancy the idea of the Seafarers expansion. I would quite fancy getting the 5-6 player expansion of this game and playing it in a larger group. There is scope for trading with other players, forming and breaking alliances, and that could be really fun in a large group. So that’s what we think of Catan – I’m looking forward to see what comes next. You can get a copy of Catan on Amazon or any good game shop.